Conferences, especially the really good ones, can be exhausting. TBEX is no exception. With travel to and from the host location, Pre-BEX and Fam Trips, and a full schedule of breakout sessions, networking opportunities, and keynotes, there’s little time left to truly relax and unwind. Luckily for you, however, Corning, New York is the perfect example of a burgeoning city that still embraces its roots and small town charm. While there are plenty of opportunities to eat delicious meals, drink craft cocktails, and explore the city’s business community and arts and culture scene, there are just as many ways to enjoy the city’s offerings in more relaxed, intimate settings. Whether you find yourself with just five extra minutes or a free afternoon, here are four ways to unwind in Downtown Corning. 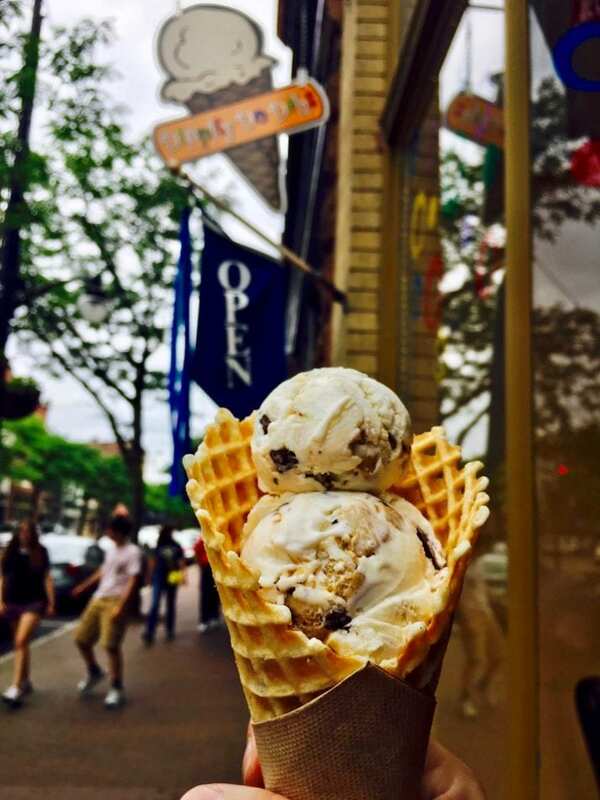 If you’re walking from The Radisson Hotel Corning, one of the official host hotels, to – well, just about anywhere in Downtown Corning, really – you’re going to get the faint whiff of freshly baked waffle cones. That dreamy sensation comes from none other than Dippity Do Dahs, Corning’s premier homemade ice cream shop. Since 2013, Dippity Do Dahs has made a variety of signature flavors like Fudge Brownie, Butter Pecan, and Market Street Espresso, and the scent of its homemade waffle cones has filled the air of the block on which it’s whimsical storefront stands for just as long. As seasons come and go, so do seasonal flavors like Caramel Apple Pie, Gingerbread, and Maple Bacon. 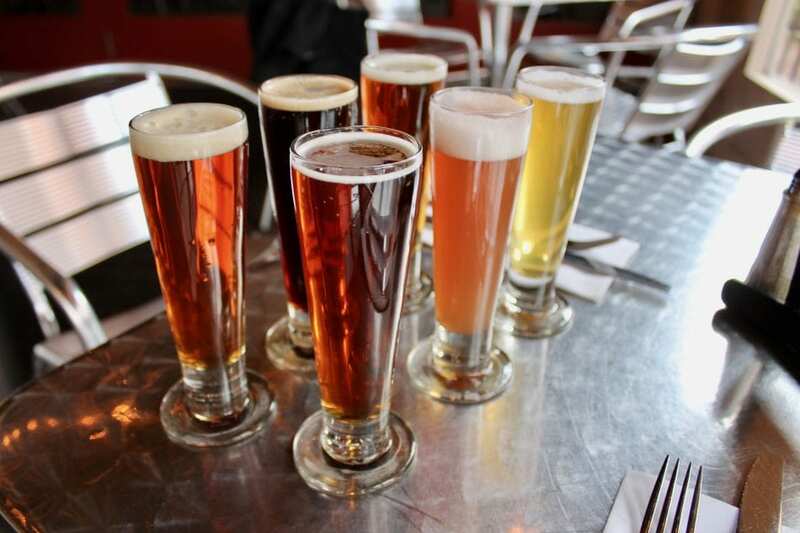 Summer and Fall, bring a variety of rotating beer flavors and wine sorbets. Do yourself a favor and give into your sweet tooth. It takes just five minutes to walk in and order a scoop of Rosé Sorbet, and your tastebuds will thank you. 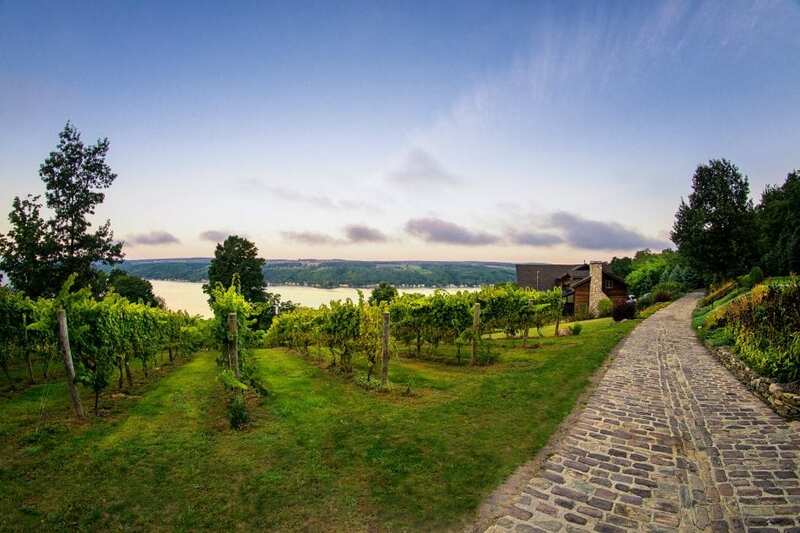 If you’re attending TBEX, you already know that the Finger Lakes is home to world class wine. But, Finger Lakes Wine Country is more than just Riesling and Cabernet Franc. The region is a craft beverage mecca, with producers crafting beer, cider, and spirits at rapidly increasing rates. There are over one hundred craft breweries on the Finger Lakes Beer Trail alone, and countless other tap houses and brew pubs. Corning’s historic Market Street is home to one of the oldest. The aptly named Market Street Brewing Company has provided Corning with seriously delicious craft beer for over twenty years. Unlike most of its competition, “The Brew Pub,” as its colloquially referred to, doesn’t rely on beer trends and hazy New England Double IPA’s to draw a crowd. Instead, the family-owned brewery focuses on the same five beers that it’s crafted since its beginning. It’s all about quality over quantity for the McClellan Family. If you find yourself with an extra thirty minutes and a thirst for cold craft beer, make your way to The Brew Pub. Grab a seat on the rooftop patio, order a flight, and enjoy a bird’s eye view of Downtown Corning. Pair those brews with shrimp tacos and a side of MSBC chips and you’ve got a complete Brew Pub experience. Corning’s Market Street has become a must-visit destination for antique collectors and sellers, alike. There are more shops than you’d think, with more treasures than you can imagine. A local favorite is Twin Tiers Antique Plaza. The two-story antique shop, found on West Market Street, is organized by vendors, with each section adhering to its own theme. Without a doubt, the store features the most diverse selection of vintage Pyrex in the area. As most know, ‘Corningware’ and ‘Pyrex’ are two of America’s most beloved household brands, and each were famously invented in Corning. Multiple vendors in Twin Tiers Antiques have wonderful selections of these vintage kitchen sets, in a variety of different designs and prints. 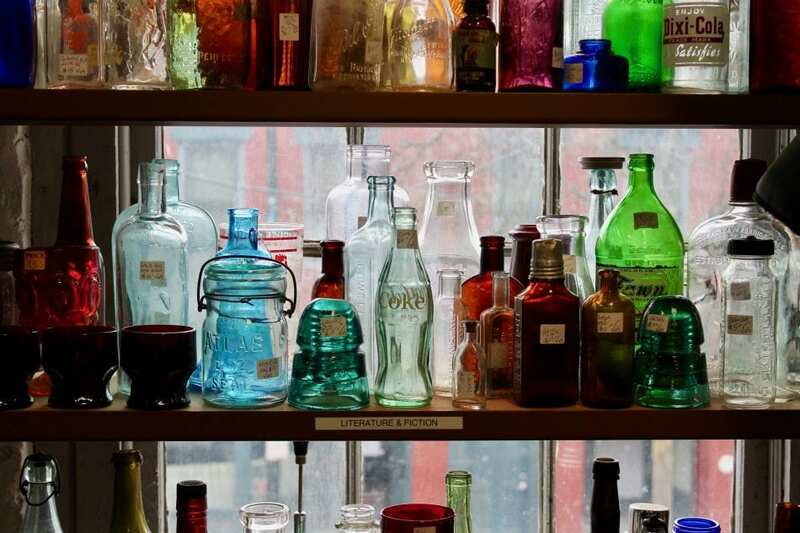 Take a few minutes to lose yourself in the rows of antiques. Who knows, maybe you’ll find a hidden gem and go home with a piece of Corning’s history. As you first turn the corner from Market on to Cedar Street, you’ll be overwhelmed with the beauty of The Rockwell Museum; and that’s just from the outside! The Rockwell Museum is a Smithsonian Affiliate Museum, an honor that less than 1% of all museums receive, and it’s the only one found in Upstate New York. The Rockwell is housed in Corning’s Old City Hall, a wonderfully attractive and historic brick building. Many of its original details, like the tin ceilings and the iron door that lead to the women’s jail, have been beautifully preserved. Paired with these historic gems, the art housed inside will surprise you. 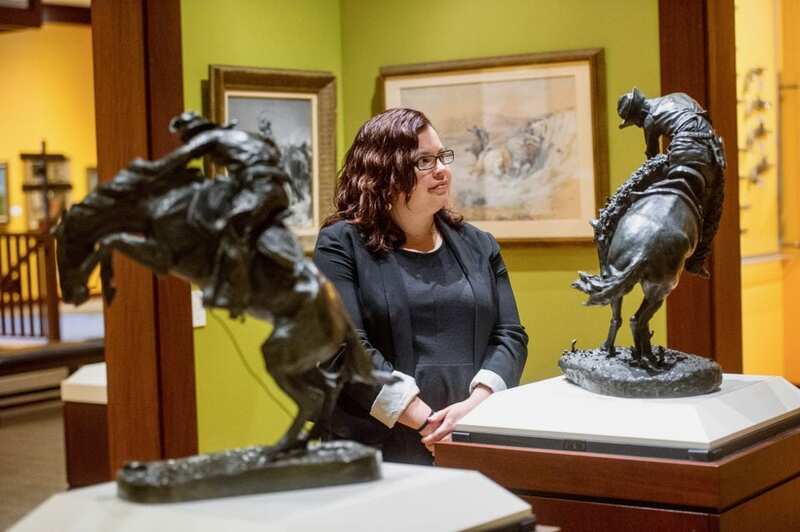 The Rockwell collection boasts a fascinating blend of famed bronzes, dreamy Western landscapes, contemporary Native American art and sculptures, American illustrations and prints. The featured exhibition gallery changes two to three times per year, often celebrating contemporary artists, so there’s always something new and current to see. The Rockwell Museum is by far the best place to spend an afternoon, wandering and getting lost in the world of the American spirit, seen through the eyes of American artists. Corning is home to numerous local businesses, each with their own charm, that contribute to the treasure that is Corning’s Historic Market Street. With so many unique options for dining, shopping, and exploring, you won’t possibly run out of adventures, both exciting and relaxing, to have in Downtown Corning. Register for TBEX North America 2018, and join several hundred travel bloggers, content creators and travel influencers for two full days of educational breakout sessions and speed networking with dozens of travel brands. Your registration also includes access to the Opening and Closing Night Parties, a Pre-BEX Tour, and entrance to all other official #myFLXtbex sponsored events. Find complete details on the Event Page.